Exciting start-up TactoTek spun out of VTT in Finland has just come out of stealth mode. 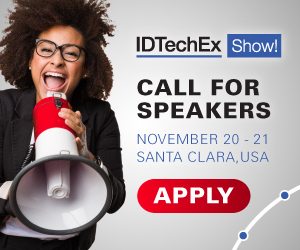 IDTechEx has been following the company for some time using the limited information previously released. TactoTek is at the center of the move from 100 years of "components in a box" to merged structure, electronics and electrics. It manufactures products that integrate printed circuitry and discrete electronic components into 3D injection molded plastics. VP Marketing David Rice says this is "a form of advanced in-mold labelling" consisting of high-pressure, high-temperature molding of PCBs and components. Basically, a complete electrical and electronic system becomes an attractive piece of solid, shaped plastic that is load-bearing and conformal in a structure or vehicle. Typically a dumb structure is replaced, saving money to net off against the cost of the innovation. Why do this? Well, the benefits are many. Marketing VP David Rice claims that his products promise to be thinner and have less volume. They are lighter and can be more reliable with longer life. They are more rugged, often tolerating freezing and total immersion. The TactoTek part effectively takes no volume and it adds little extra weight - something very precious in an electric vehicle, for instance, because range is improved. Further, the functionality is actually improved in many cases. For example, their integral controls are more sensitive than conventional parts. This company has the strap line "Intelligent plastic surfaces. Smart designs". David says, "I received notice of your report on Structural Electronics with great enthusiasm. At TactoTek we couldn't agree more about the significance of this design and manufacturing revolution". This IDTechEx report, "Structural Electronics 2015-2025" is available at www.idtechex.com. IDTechEx believes TactoTek's costs and performance are getting further validation and, if the claims are correct, the potential is huge. So far, TactoTek's, customers mainly want to replace parts in an existing structure but, as Rice points out, maximum benefits accrue where products and vehicles are designed from the start with these smart structures incorporated: "born integral". Meanwhile, the company is not standing still. It even sees potential to reduce existing costs by two thirds.